A bill that would have benefited pregnant women and working moms in a big way has just been blocked in South Dakota. Here's what you need to know. 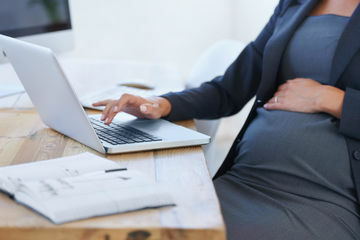 As much as we'd love to say that women can have it all in this day and age, the fact remains: Having a baby will almost certainly affect your career. Some of it is to be expected—your priorities may shift after you become a mom, you'll probably take off a bit of time for maternity leave, and your days will become jam-packed with responsibilities outside of work, for example. But other hardships could (and should) be avoidable; it's just a matter of society, corporations and lawmakers accommodating the needs of parents. Unfortunately, South Dakota legislators just missed a major opportunity to do just that: Rewire reports that the state's legislators blocked bill HB 1120, which would have given certain legal rights to working mothers. Had the bill been passed, moms would have had legal entitlement to reasonable work accommodations—think pumping breaks, modified work hours and private spaces in which to breastfeed. These all sound like things business should provide their employees, right? Aside from a total lack of awareness about what early motherhood really entails (seriously, if you're a breastfeeding mom and can't pump while you're working WHAT ARE YOU SUPPOSED TO DO? ), it doesn't take a rocket scientist to see the intense level of sexism at work here. Women don't cease to be capable once they have children. They can still be smart, valuable, successful members of the workforce, and to make a comment like this one is essentially to say that women have to choose between motherhood and career. But it's 2017—are we really still not hip to the fact that women deserve the chance to do both? This news is disappointing, but we hope businesses in the state will choose to make the juggling act a bit more doable for their employees. Maybe having it all isn't realistic, but it shouldn't be this hard to strive for that balance. And it wouldn't be, if society would finally just step up for working parents.